Grab your glove, bat, and cleats and get ready for some baseball action the Super Nintendo way! In HARDBALL III, you've got 28 Major League teams and more than 650 players at your disposal, thanks to the official MLBPA license. Whether you're a fan of Winfield, Gwynn, McGwire, or Glavine, you'll find your favorite stars in the game. If you aren't satisfied with any of the real MLB teams, create your own you can even design your team's logo! On the field, you can play in several different modes: Exhibition, Full Season, All-Star Game, Home Run Derby, and World Series. With the in-depth instant replay system, you're in complete control; you can even save your favorites and create you own highlight reel! 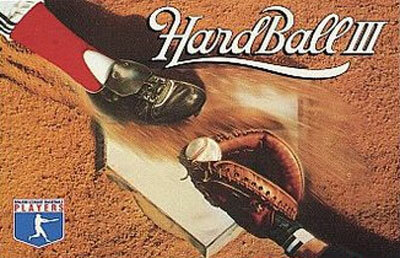 If you're ready to make a run for the pennant, then you're ready for HARDBALL III.